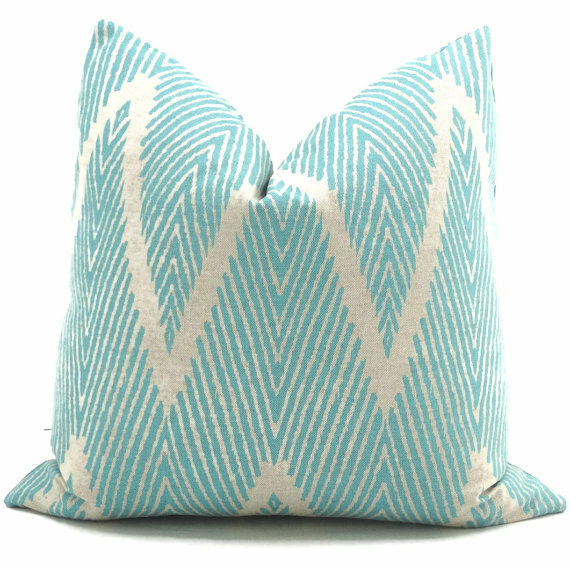 Add a Pop O Turquoise to your decor with this trendy handcrafted Aqua and Gray Ikat Chevron Decorative Pillow Cover. A great coordinate with other bold patterns or solids. Same fabric on front and back. $35. Buy here.